Do we know when the actual alpha is going to be released (within a month or so) just so we know when the game is up full time? The Perdere Mining and Trade Division thanks you for reading this message. Join Perdere Today! Will ALPHA (not pre) servers be up 24/7? is the 30th alpha or pre-alpha? Thank you to everyone has joined so far! We are already up to a total of 5 members in a short couple of days! We plan on growing more as we talk to other guilds and hopefully merging with some other groups! Sounds awesome, by the way, are you already in a guild/organization? 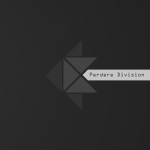 If so, would they like to partner with Perdere, if not would you like to join Perdere? PvP Mechanics and wrong gameplay direction ? So if bullets arent going to be able to exist. How would combat take place? What would be the replacement of the bullets? I guess I just dont understand how this would all work. I agree with Lethys, a system with one major shield system that you can control where power goes from that would be a lot easier to control and maintain. Having multiple sub systems of different shields may just get too confusing. Especially with the implementation of LUA scripting, it would eat up too much processing power. Personally, I think that a 'holo-builder' would be cool where its basically a giant hologram that you can build in. Although as stated above, prototyping should cost resources but for large ships it may just be way too much. So what if the holo-builder cost around 10% of the normal resources without it and you had to say, run power to it (Not sure what this would actually be or even if there is a way to have a direct power input yet) but I think it would allow for greater creative control, especially among smaller corporations.